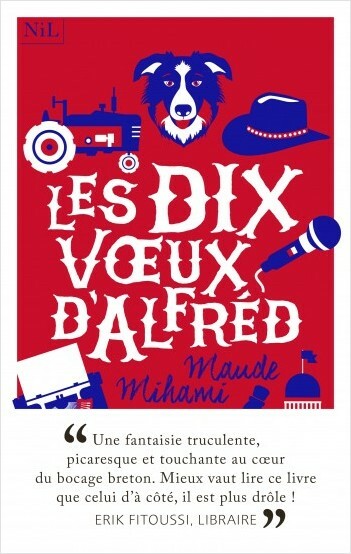 After the success of Alfréd’s Ten Wishes, Maude Mihami is back with Alfréd’s Loves, a wild cocktail of a romance to consume without moderation. When love comes to Brittany… nothing will be the same! The year is 1970, in the little Breton village of Le Camboudin. Alfréd, age 10, has always hated the accent in his name, but now he has a dog nicknamed Cookie, an aunt he can borrow books from, a mother who hits the booze a little less and a grandfather... The year is 1970, in the little Breton village of Le Camboudin. Alfréd, age 10, has always hated the accent in his name, but now he has a dog nicknamed Cookie, an aunt he can borrow books from, a mother who hits the booze a little less and a grandfather for whom Alfréd is still the apple of his eye. He loves hanging out at the bistro with his friends, a happy band of elderly men who teach him about life, as much as he enjoys making cakes with Nénette. But the day a new teacher, Mademoiselle Anne, comes to school, nothing will be the same in Le Camboudin. Alfréd’s heart loses control—along with everyone in the village. Will Old Alfred finally declare his love to Victore? Will Odette stay single? And what about Roger, long gone, but whose soul seems trapped in an urn at the bistro? When love gets mixed up with trouspignôle, the life of the whole village is turned upside down. 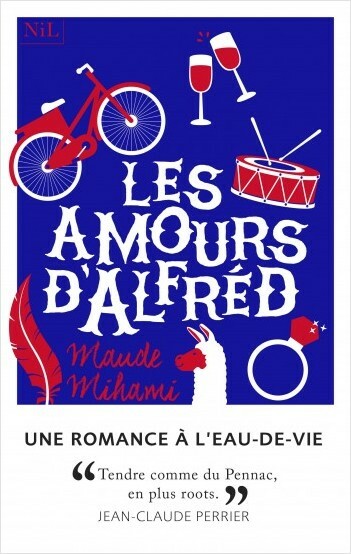 After Alfréd’s Ten Wishes, a hilarious debut novel that offered a tender look at the world of childhood, Maude Mihami is back with a second opus, Alfréd’s Loves, a wild cocktail of a romance. Drink as much as you like! Maude Mihami, a native of Brittany, has worked as a bookseller in Germany and Paris. She currently lives in Lyon. Alfréd’s Loves is her second novel.